1. Triangulation and asymmetrical composition. 2. Primary, secondary and tertiary branch identification and placement. 3. Selection of primary viewing angle based on trunk movement and rootage. If you do not understand the three concepts outlined above, you would be well advised to invest in a little more research time before beginning this exercise. 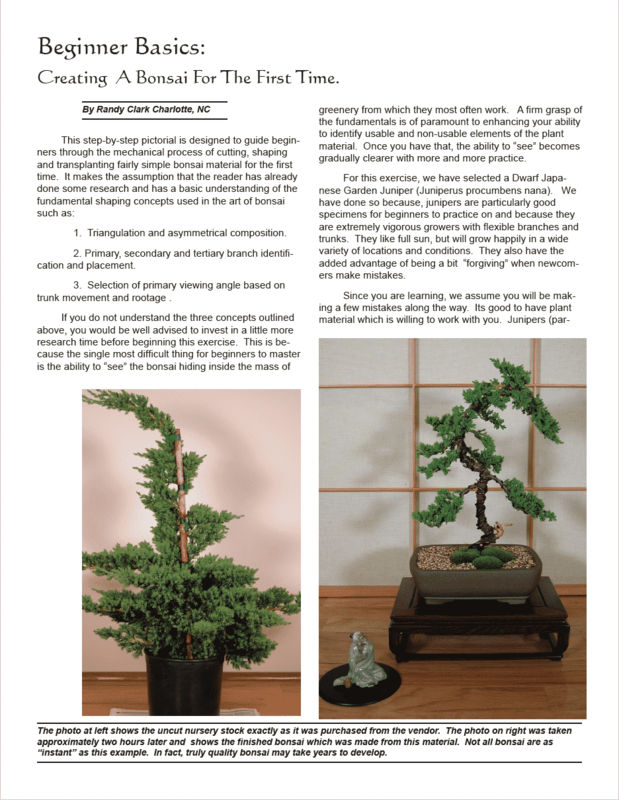 This is because the single most difficult thing for beginners to master is the ability to “see” the bonsai hiding inside the mass of greenery from which they most often work. A firm grasp of the fundamentals is of paramount to enhancing your ability to identify usable and non-usable elements of the plant material. Once you have that, the ability to “see” becomes gradually clearer with more and more practice.